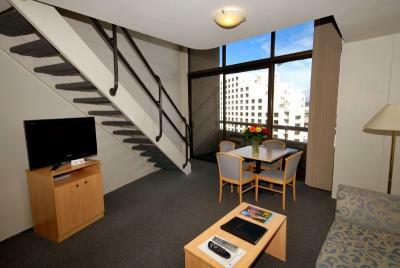 Located in the heart of Sydney in the popular dining and entertainment precinct of Darling Harbour, Metro Apartments on Darling Harbour is a 3 ½ star fully serviced, one bedroom loft style apartment property offering all the home comforts in a modern setting. The Sydney Aquarium, IMAX Theatre, Cockle Bay restaurants, Chinatown; the list of attractions is practically endless in Darling Harbour and travellers coming to the city will want to make the most out of this vibrant area. The best way to do this is to base yourself in the area and there’s few positions are as convenient than that of the Metro Apartments on Darling Harbour. 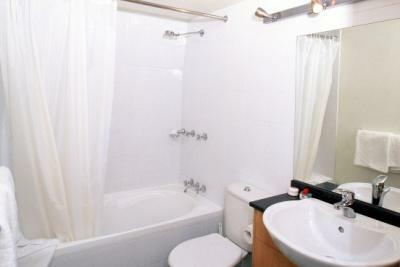 Room types include one bedroom loft style apartments and executive apartments. 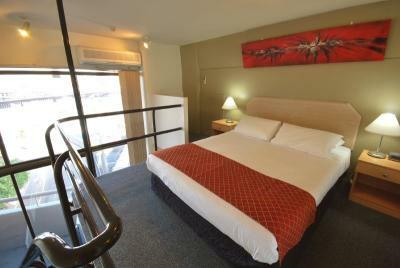 All come with fully equipped kitchens, lounge room with downstairs balconies, LCD TV with 28 Foxtel channels. Wireless internet available. Hotel facilities range from laundry and dry cleaning services, a tour desk and 24 hour reception. 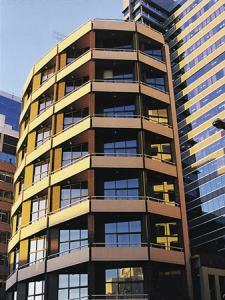 Metro Apartments on Darling Harbour is a non smoking property however guests can smoke on their own private balconies. Secure parking is available at 170 Sussex Street. ***For the comfort of all our guests and tenants, this property has a "No Party" policy. Only registered guests are permitted in the property after 10.00pm. ***The property is a NON smoking property. However, guests can smoke on their own private balcony. ***There are approximately 12 steep stairs leading into the property. If you require assistance with your luggage, please do not hesitate to ask at reception. Directions to parking: Metro Apartments does not own the Carpark. We have an agreement with Secure Car Parking. 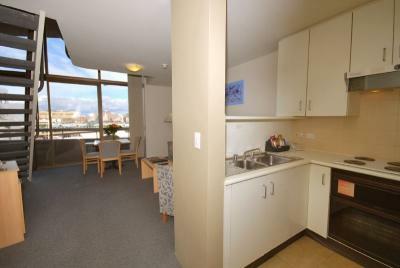 Located:170 Sussex Street (Rear of 383 Kent Street) The cost is aprox $30/night. 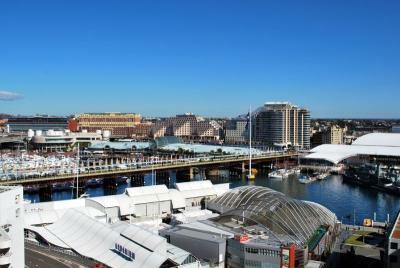 Metro Apartments on Darling Harbour is 4 out of 10 based on 2 customer votes & Yelp reviews.